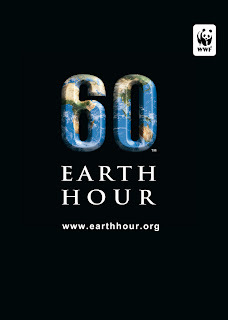 If you want to read more about earth hour, go here. :) Have fun in the dark. There are plenty to do with your loved ones in the dark, trust me :P.
Arsenal beat Hull City in the 6th round of the FA Cup so that means they are going to play in the quarter finals with Manchester United and Chelsea. I have to look forward to that. Arsenal is also in the Champions League quarter finals and they are playing Villareal (I think anyway) and Chelsea is playing Liverpool. That would be interesting. Can't wait. LOST!!!! Ahahahaha...this is so fun :P And this time against Fulham FC. Of my cats!!!! I can't have enough of my cats cause I LOVE them sooo much ^_^. This was the only got picture of Boone I got. I had to touch his ear so he would look at me :P.
Boone and Charlie was interested with the handle of the bag...funny lil kitties. Oh before the bag o' fun, this was Charlie biting the string that's attached to the camera. He didn't want me to take a picture of him on my bed. I was putting the bed cover on and all of the sudden I saw this lil cat jumped on it and biting the cover, I was like WTH??!?! But it was so funny tho, and cute ^_^. This was a few days before, a picture of Boone and Oreo, chillin' in the dining room. I told the kitties to stay upstairs cause my sister was vacuuming, and well Boone wanted to make sure I was out of sight before he could follow me down the stairs and I had to spy on him, and this is what I got. HE was SPYING on ME! He poked his furry big head over the railing :P so cute. And I had to take a picture of this, Boone is SO cute~~ He's saying "I'm watching you!" This is Charlie with Bunny, hmmm honestly I don't have a lot of pictures with Bunny, cause she always looks sad :P.
Last night I was thinking what a great game the FA cup 5th round would be. And since Manchester United was thru to the semi-final after beating the opposite team (I don't know who they played) 4 - 0, and Chelsea winning 2 - 0, I was hoping Arsenal would do the same and go thru to the quarter final, where they would meet Hull City for the semi final spot (altho I wasn't aware that Chelsea and Man Utd was ahead by 1 game). So I was so psych last night and text my uncle who is also an Arsenal fan, asking if he was coming home to watch the game with us. My sister, my brother and my cousin was sitting in front of the tv eager to get the game going (but of course we couldn't since :P). My uncle was running late (like a half time late, and only made it to the 2nd half of the game) because he was busy at his fiancee's house, oh he's getting married this friday :P.
Arsène Wenger kept the team to a young side. One of the highlights of the game for me was that Theo Walcott came in as a substitude after 4 months away with a shoulder injury, I was glad Theo got to play ^_^. Altho I would love to see Fabregas play too :P (CLK says he is my other bf, LOL). It turned out to be a great game well because ARSENAL won :P. 3 - 0, it was a revenge for beating them in the Carling Cup. HAHAHAHA....at least that's what I like to think so.The first goal was a great goal by Vela, I thought he deserve to be the man of the match, but I think they gave it to Eduardo. It was a tough game because Burnley's keeper was huge (they said he is named the beast for his large stature...ahaha). Since it was that tough, Vela goal made it a sweet victory. I bet the keeper said to himself 'Damn I was fooled by that lil twerp' LOL. It was a great goal I tell ya. The second goal was Eduardo's goal and I guess it was a very interesting one. The ball came to him a lil late and he put it in the goal by the heel of his boot, it was a good goal (ok maybe Vela's goal isn't that great but at least they were scoring). The third one was by Eboue, and he has been trying to score since the last few games and (finally) he got his chance. It was a rather Eboue-like goal, always wanting to try but coming up short, but that one was great. See now I am a happy camper ^_^. By the third goal (my uncle manage to get back in time for the second half) we were making noises like crazy. I wish CLK was there, since the games we saw were "boring" ones, this one and the last 3 games were great!!! My dad heard all the noise we were making and he actually came out of his bedroom and asked why we were making so much noise :P but it was fun. *sigh* A good game. I think my description of the game is boring so read here if you want to know more (but I doubt you would read it...hahahha). Oooo, I found this really interesting clip. Go here to watch it...honest you will absofuckinglutely LOVE it >:) *evil laughter*. 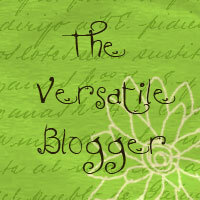 Lately I have been reading various hilarious blogs that I found (now I really don't remember how I found them). But anyway some of my favorite blogs to read are Clever Girl Goes Blog, and Starting Over at 24.I would say, they never fail to put a smile on my face ^_^. 7. I love tall guys! 57. ...but I love eye liners and mascara! !